This country style home boasts luxurious amenities such as oversized guest rooms with private baths, a large wrap-around deck and a hot tub. The mountain views are spectacular, so be sure to take time to relax on the deck and take it all in. 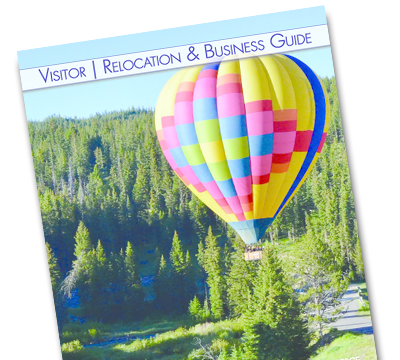 Conveniently situated between the airport and downtown Bozeman, you’ll feel like you are a world away, with the amenities of a city just a short jaunt down the road. For a true taste of quiet country living, this is the spot. While this central location is close to downtown it’s equally easy to reach the Gallatin River, perfect for anglers to catch the early morning or evening hatches. Skiers will love where the property sits halfway between Bridger Bowl and Big Sky Resort, making it easy to ski both mountains in one trip. You won’t find anything as unique as this log and stone structure set on 42 acres in Bridger Canyon. The elegant home includes both a sauna and a hot tub for relaxing after a day of skiing or hiking. But the best part is observing the resident wolf pack. These captive-bred wolves cannot be released into the wild and are sent from all over the country to reside in these beautiful surroundings. Guests can view and photograph the wolves, but the sanctuary is not open to the public. Built in 1892 by one of Bozeman’s early pioneers, Joseph Lindley, this Victorian manor is listed on National Historic Register. The interior has been beautifully renovated and each room has a private bath. Located just two blocks from Main Street, you’ll find exceptional dining, shopping and entertainment. The home is also close to walking trails, the summer farmers’ market and Montana State University. If you want to experience life in downtown Bozeman, this is the place. German-born master brewer Julius Lehrkind built this beautiful home beside his sizable brewery. As a means of “blessing” the house, each brick was soaked in beer before it was put in place. Representing some of the best Queen Anne-style architecture in the state, the house features gables, bays, a corner tower and large windows with stained and leaded glass. As for breakfast? Guests rave about their homemade muffins and organic coffee.